Importance? Isn’t this just another Neptunia title? No, my friends. This title is probably more significant than you think. 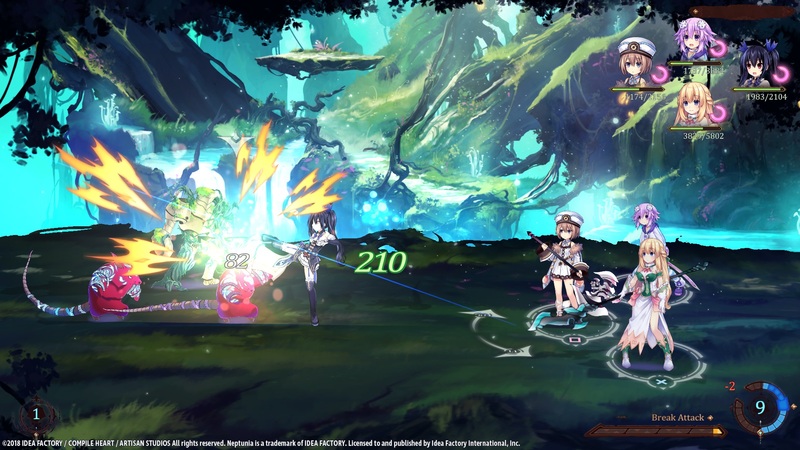 Over the last few weeks, we’ve talked a lot about Super Neptunia RPG. After taking a hard look at both the E3 and the Anime Expo demos, you might think I’m ready to throw in the towel on this one. However, that couldn’t be further from the truth. For you see, I very much want Super Neptunia RPG to be successful. Not just as a Neptunia fan, but because this franchise is at a major crossroads. What exactly do I mean? Well, let me explain, starting with a quick recap of some of the major milestones Super Neptunia RPG is about to set. One of the most fascinating things about Super Neptunia RPG is really how many franchise firsts this game sets. It’s the first Neptunia game to be in 2D; it’s the first Neptunia game to be handled by a Western studio, and it’s the first Neptunia game to be on the Nintendo Switch. This game is breaking some very serious ground. To illustrate this, let’s step through each of these three things starting with the fact this Neptunia game is the first to be in 2D. 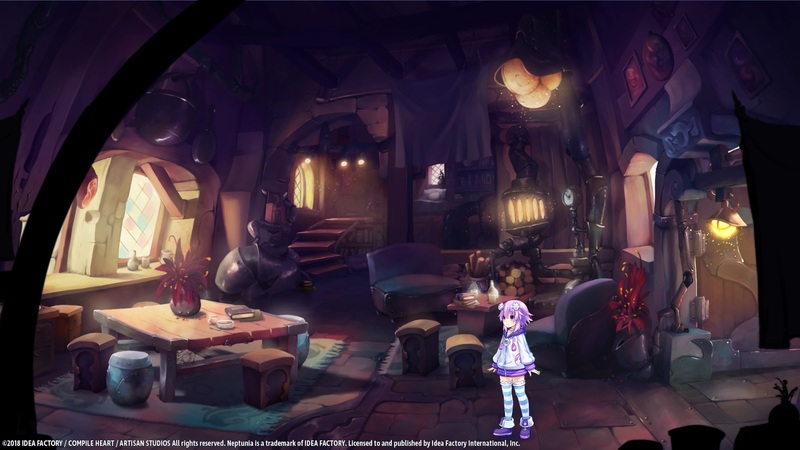 It’s also the first Neptunia game to give the player the ability to walk through town. Something that should help the world feel more fleshed out. It’s a bit surprising there has never been a 2D Neptunia game in the franchise’s almost eight-year history. Which is kind of amazing when you consider all the effort the Neptunia team puts into the end credits of most of the games. 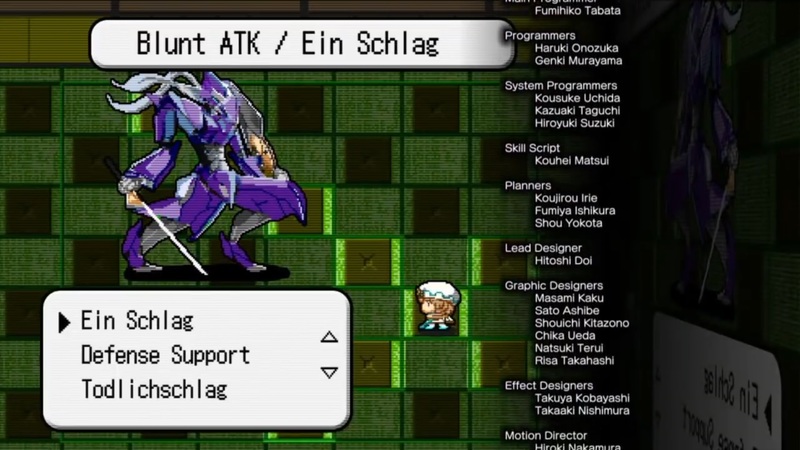 Many of these credit sequences feature homages to many retro games and recreate the Neptunia characters as sprites. It’s really surprising that the core Neptunia team hasn’t done anything with these little homages. More than likely, they just haven’t thought of a compelling way to utilize them. Sometimes though, someone with an outside perspective comes along with a fresh idea. Which brings us to our second first: Artisan Studios. Part of the credits from Megadimension Neptunia VII. Not only is this some beautiful sprite-work, it’s also a reference to the Square classic Live A Live. In fact, one could say VII is an homage to it. 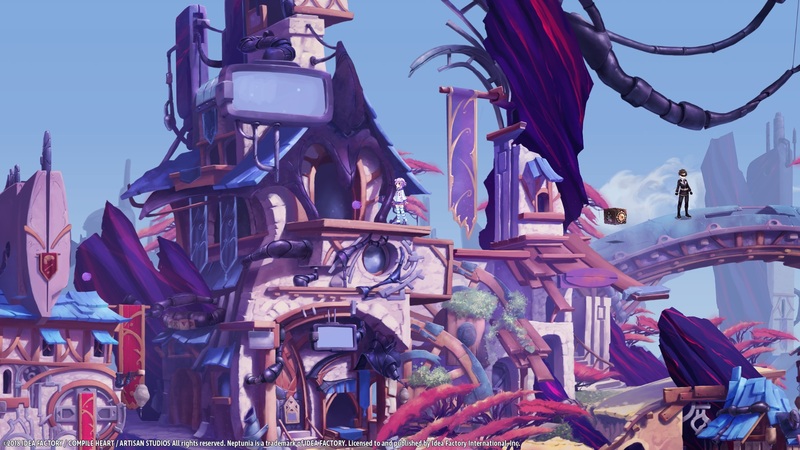 Artisan Studios is the first Western developer to work on the Neptunia series. Which is a huge deal. Imagine, as a fan, that you were suddenly given the chance to contribute to a Neptunia game. You’d be ecstatic even if you knew nothing about game development. Now imagine how a developer who has a great idea must feel when they’re given a chance to work on such a beloved and prestigious series. They must have been over-the-moon when they were told they would be working on a Neptunia game. 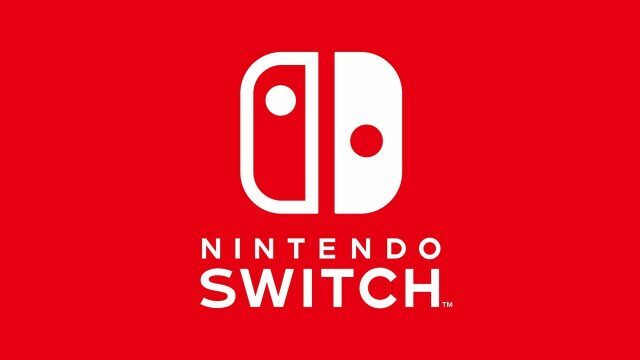 Especially one that was in 2D and would be on a brand new platform: the Nintendo Switch. Yes, up till this point the Neptunia franchise has been a PlayStation exclusive. But, with the Vita now heading into the sunset its time for a Nep-Nep to leap onto a new portable. The Nintendo Switch is our third first and you shouldn’t just brush aside that point. Yes, I love my launch-day PCH-1101 3G enabled Vita, but that system’s time is over. Not only is the Switch the only way to play Super Neptunia RPG on the go, but it’s also opening up the franchise to a new set of fans who have waited on the sidelines. If you’re reading this site, I’m sure you probably have a PlayStation 4 or a PC with Steam, but not everyone does. This is a great chance to grow the fan base and franchise. In fact, the success of Super Neptunia RPG will play a key role in deciding if these three things will be ongoing things or a one-time event. Let me elaborate. Let’s say that the game sells well enough to turn a profit and be a successful project. We’re not talking record setting here, just enough to please the powers-that-be. That means we’re more likely to see not just more 2D Neptunia games, but possibly more experimental titles. A Neptunia game we never knew we wanted could be a few years away. We’d also get to see other Western developers take a swing at the franchise. Heck, next time we could see someone from the EU or from Latin America try their hand developing a Neptunia game. And finally, it would ensure that Switch fans would continue to see Neptunia games on their console. But consider this, what if Super Neptunia RPG doesn’t meet that simple goal. What if it falls short? 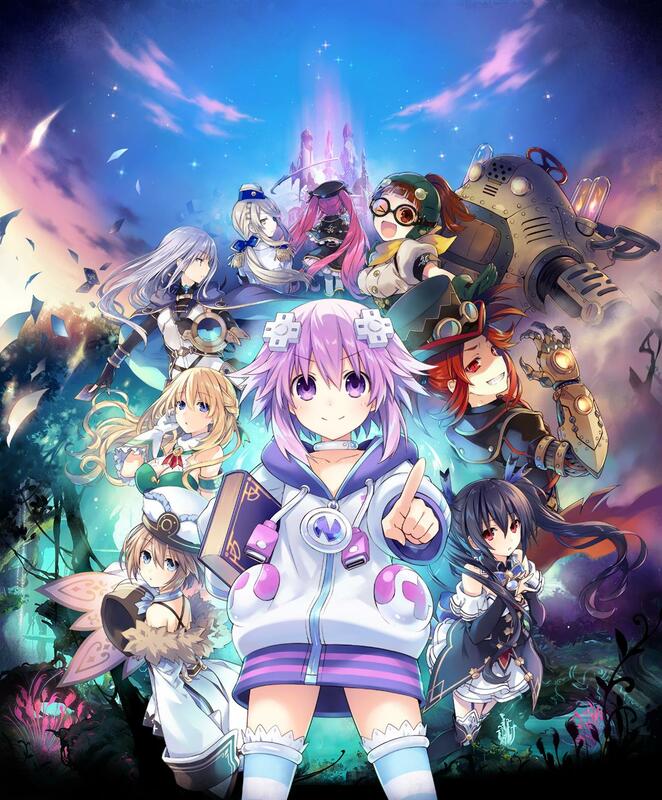 Let’s delve down the Dogoo hole and ask ourselves what could happen if Super Neptunia RPG doesn’t succeed. Well, for one the franchise would be fine. Neptunia is enough of a juggernaut that one low-selling title wouldn’t cripple it. But it could close off many doors. We may have to wait for quite a while before we saw another 2D Neptunia title or anything that strays from the core concepts of the franchise. We may also not see another Western dev touch the franchise ever again. After all, why take that risk when it didn’t pay off this time. And finally, we could see support for the Switch scaled back. That could range from future titles being eShop only, to very limited print runs. A lot rides on the success or failure of Super Neptunia RPG. Now the more astute of you will point out that there’s a lot of factors that go into decisions like these. Sales numbers for a particular platform, physical vs digital copies, critical and fan feedback. And you are correct, but even a critically acclaimed game that doesn’t sell enough to break even is considered a financial failure. This is a business after all and money is the endgame. But, then you’re probably asking why I brought all this up. Well, it’s because the E3 and the AX demos play a big role in setting the stage for Super Neptunia RPG’s success. Super Neptunia RPG’s demos should have, at the least, got me interested in its mechanics and gameplay. However, it instead left me underwhelmed and concerned. Like I said in the Anime Expo piece, demos are basically a publisher’s sales pitch to a consumer. And sadly, the pitch for Super Neptunia RPG was underwhelming. In four years of covering both E3 and Anime Expo as press, it’s hard to think of a demo made me more concerned about the future of a title. Let’s use Senran Kagura Burst re:Newal as an example. That demo was extremely short, to the point that I was kind of disappointed. But it was polished, I could at least understand how the game worked and I felt confident about its future. The same can be said for something like My Hero One’s Justice. There were some issues, but I can see the appeal. Not so much here. Which begs the question: what happened? It’s human nature to want to point the finger and blame someone. However, it’s not really that simple here. 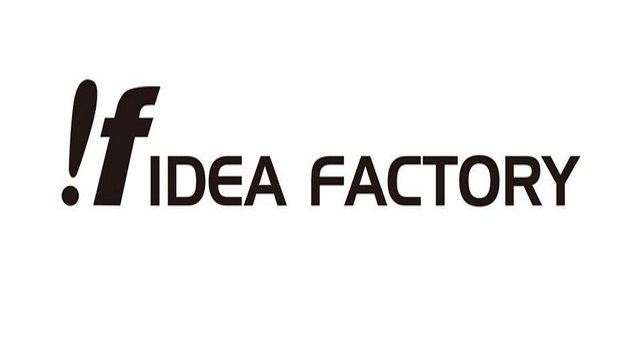 With Artisan Studios developing the title, Idea Factory of Japan overseeing things and localizing the game for Japan, and IFI handling localization for the rest of the world, there’s too many moving parts to definitively blame anyone. And honestly, it doesn’t matter. Blaming people doesn’t provide a solution. However, I will pose one question. Would these demos in this state be acceptable to an audience in Japan? In the end, what I want, and what any gamer wants is a good game. And I’m hopeful that Idea Factory, IFI, and Artisan Studios can make that happen. I ask this, for one simple reason. If it’s not acceptable there, why is it acceptable anywhere else? Yes, different markets do have different standards, but quality should not vary between regions. Thus, we’re in the situation where one of the most important Neptunia titles is looking in a rather rough state. To me it’s troubling, but I’m not ready to give up on it yet. You see, the point of this article is that we shouldn’t be treating Super Neptunia RPG as “just another Neptunia game.” Heck, you should never treat any title as just another title. Developers and publishers should take great pride in their work. And I know IFI has been trying to do just that with its panels and the thought they put into its merchandise. I know Artisan Studios is trying to create something new and amazing by bringing Tsunako-san’s gorgeous artwork to life. I know this can be a great game. But that fact isn’t being communicated to us. I want to see this world come alive. I want to be immersed in its story, characters, and combat. Hopefully, when Super Neptunia RPG releases that will happen. Developers and publishers shouldn’t assume that fans will always be there to support titles or franchises no matter what. Trust and goodwill and the most important things you can garner from them. That means things like these demos absolutely matter and they need to be treated with great care. Because if not, it could lead to issues down the road. It’s why I’ve spent three articles and over 3,000 words talking about them. Because this isn’t just another Neptunia title to me. It’s the start of a brand-new chapter and of something wonderful for my favorite franchise. And in the end, I want it to succeed.